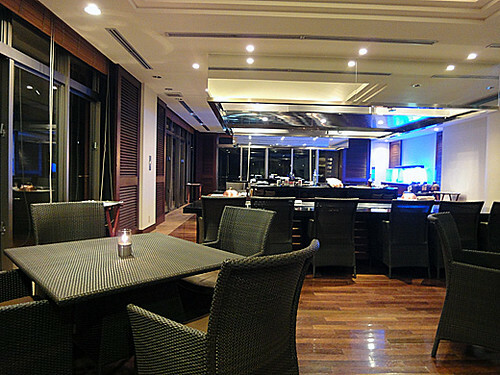 We had a dinner at Teppanyaki Restaurant “Ryutan” where was located at the affiliated hotel, “The Atta Terrace Golf Resort” next to the hotel where we’ve stayed. We had a full course dinner, “Omoro”. 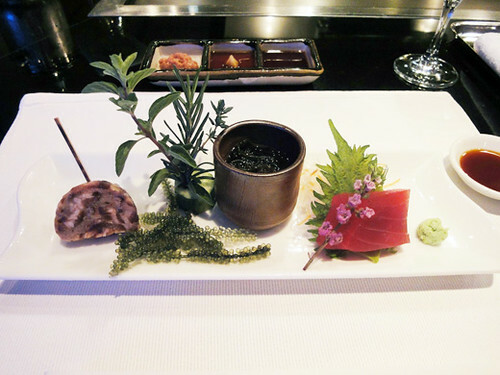 It was stared from assorted light appetizers of the day in which were Sashimi of Tuna fish, Umibudou (Caulerpa lentillifera) and a terrine of pork. This restaurant is really chic, even the food is served prettily!